Prior Educational Resources Ltd. began as a home-based business founded by Roger Prior. 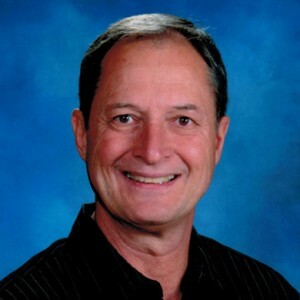 Prior began teaching senior biology in British Columbia, Canada in 1976, and twenty-two years later he began to compile and distribute sets of study notes for the more challenging units in Biology 12. The demand for these units led him to develop study guides for all units, leading to the creation of Biology 12 — A Student Resource. In 1999, working with a local printer in Trail, BC, Prior ordered sixty copies of his “book” for the students he was teaching. The study notes were going to be assembled with a cardboard cover and simple coil binding. However, word of the project got out, and before the first printing Prior expanded the order to 200 copies. By the fall of 2002, thousands of students had gained the benefits of using the second edition of Biology 12 — A Student Resource. In 2004, Prior published Biology 11 – A Student Resource and launched www.biology-study-guides.com to support students. In 2014, the seventh edition of the Biology 12 study guide and the fifth edition of the Biology 11 study guide were successfully converted to e-books and are available from Amazon-Kindle, iTunes and Kobo as whole volumes as well as by individual units. Our goal is to provide quality, economical resources to biology students and teachers.